YES, I’d like to get Prehab X Membership!I understand this is a special pricing offer and that limited memberships are available. By ordering, I understand I’ll get access to a 10-day trial to PrehabX membership, which includes full access to our online Exercise Library, private facebook group, weekly webinars, and exclusive discounts and events. The price for membership is $9.99 per Month after your 10-day trial. The price for membership is $0.00 now and then $9.99 per Month after your 10 day trial. PrehabX features ALL of our exercise videos in an extremely organized fashion. Members will have full access to our exclusive educational video descriptions with the ability to identify and filter content to a specific body region, muscle, movement, position, plane of movement, and even diagnoses and conditions! You will additionally be able to organize your favorite videos into personalized playlists that you can use personally or for your clients and patients. Members will also have exclusive access to The Prehab Guys monthly/bi-monthly webinars where we will cover every post in depth from the previous month. Popular questions will be answered, exercises will be elaborated on with demonstrations of regressions/progressions, and more importantly we will educate WHY the exercise is valued. These webinars will be live so you can ask us questions on the stop. And if you can’t make it, don’t worry! They will be recorded and sent to you afterwards. Members will also gain access to our private PrehabX Facebook group. This group will bring together a community of like minded movement enthusiasts to discuss special topics. This group will also give you the opportunity to directly tell us what topics you want us to cover. We will ONLY be taking video and content suggestions from our PrehabX members via this private PrehabX Facebook Group moving forward. PrehabX members will also receive exclusive discounts on ALL future TPG products. We are launching a complete full body Prehab program, soccer Prehab program, ACL prevention program, and more within the next few months. Furthermore, we will have exclusive discounts and giveaways on products and services as well as access to secret events which we have planned for this summer. 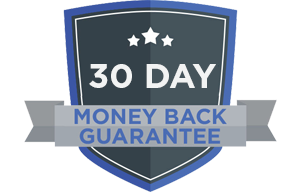 You’re 100% Safe & Protected With Our Money Back Guarantee. Your Information Secured Using The Worlds Best Technology, The Same Technology You Would Find At Your Local Bank.